Here is more inspiring news about vertical gardening, this time for the window, thanks to the Windowfarms Project, committed to soil-free food growing and maximizing space in urban areas by using hydroponic gardens. Her goal is to give people a way of participating in the “green revolution” by becoming window farmers. 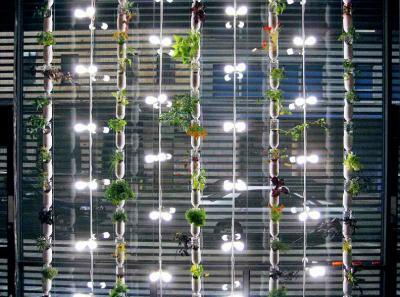 The company provides either kits or plans for growing nutritious veggies and herbs in the window. Of interest, the company began in 2009 prior to featuring the project on Kickstarter (see video) in an effort to raise $25,000 in capital from public supporters. On January 4, they were successful, raising $28,205 and turning the organization into a nonprofit 501(c)(3).